British holidaymakers pay more in air tax or Air Passenger Duty (APD) than almost anywhere else in the world. With few passengers thinking about the added cost of APD when they decide to go away, it means HM Treasury is Europe’s leader at collecting this tax on people’s holidays. In fact, the Government has been able to raise the duty on unsuspecting air travellers by 820% since 1994 adding £73 to the cost of a long haul flight and £13 to a short haul one. 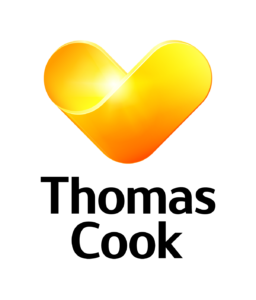 At Thomas Cook our customers are at the heart of everything we do which is why we don’t want them paying more than they have to for their hard-earned break. People might argue that as it is worth more than £3 billion annually to the Exchequer the country can’t afford a tax-cut. However a study by PricewaterhouseCoopers shows abolishing the tax would boost UK GDP by 1.7% and create over 60,000 new jobs by 2020. That’s because getting rid of it will improve our international competitiveness , make it cheaper for people go on holiday or for foreign tourists to visit the UK. APD in the UK is more than twice the rate of the next highest air tax in Europe, Germany. Other countries, even other parts of the UK, have realised the benefits of reducing or abolishing the tax altogether. The Scottish Government has pledged to cut and eventually abolish the tax from 2018. The Irish Government abolished its version of APD in 2014, which led to an 8% increase in tourism in 2015. According to Dublin airport, the number of Northern Ireland residents travelling through the airport increased by 52 per cent in the first year after the tax was scrapped. In 2009, the Netherlands did likewise following a 12-month failed experiment during which a million passengers used rival airports in neighbouring countries. The Dutch government expected to raise around €300 million a year but the economic cost to the Dutch economy was €1.3 billion. So if the Government is committed to tackling unfairness, helping ordinary families and encouraging greater openness then APD is contrary to each of these. It holds back our economy by making it more expensive than necessary for people to fly. The UK Government should act now to ensure greater fairness for consumers across the country and reduce this burdensome tax.